Massachusetts soapstone is most requested choices of stone during home construction projects and home renovations all across the country. With its many great colors and unique versatility, soapstone slabs can easily fit any style of home decor. It isnt surprising beautiful home interiors decorated with Massachusetts soapstone. Thanks to Massachusetts soapstone dealers like Dorado Soapstone, you now have your choice of beautiful interior necessities to adorn your home such as soapstone countertops, soapstone sinks, soapstone cookware to soapstone heaters. 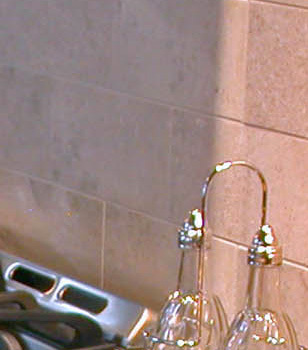 This is done with the practicality, functionality and stylish one-of-a-kind looks of natural soapstone. A Massachusetts soapstone woodstove heater or even a soapstone fireplace is the smart homeowners first choice in heating their homes during the cold winter months. A fireplace made from soapstone Massachusetts adds not only warmth but also a touch of elegance to a living room. Massachusetts Dorado soapstone sinks are available in a number of different styles such as customized hand carved styles or even fabricated. We carry different models including the double bowl farm front or the hand carved bathroom sink. Maybe you have a particular style in mind; we can customize a soapstone sink to meet your specifications. Whether you are looking for soapstone slabs, Massachusetts soapstone tiles, soapstone mosaics, soapstone sinks or soapstone stoves you can rest assured that you have found a devoted company that will serve your needs. We strive to consistently find new varieties of soapstone and to offer this unique and distinctive natural stone to you, our valued customer. A Massachusetts soapstone countertop can add beauty and brilliance to a new kitchen. Using spectacular yet highly durable Massachusetts soapstone slabs, youll find the perfect material for kitchens, bathrooms and living rooms. The demand for Massachusetts soapstone slabs is greater than ever before thanks to homeowners searching for a material more natural, environmentally responsible, maintenance-free, and durable while also hoping to save money on costs. 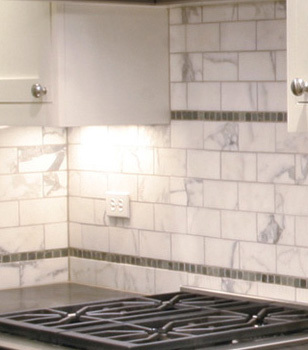 Soapstone MA can be utilized in different household applications no matter what the room may be. Try adding Massachusetts soapstone countertops to your kitchen or dressing up your living room with a warm Massachusetts soapstone fireplace. Lets not forget about bathrooms, either. Soapstone can be used for bathroom vanities, Massachusetts soapstone sinks, thresholds, and multiple other applications. The many ways Massachusetts soapstone can be implemented is only limited to ones creativity and imagination. Choose Dorado Soapstone as your premiere soapstone dealer and Wholesaler. Massachusetts soapstones are safe, efficient, and proficient. Massachusetts soapstone fireplaces radiate heat steadily, long after the fire has died down. There really is no better way keep your home warm and cozy. Soapstone possesses a natural ability to retain and radiate heat making it an easy choice over other materials. This natural stone holds twice as much heat per pound as iron or steel. Massachusetts soapstone looks stylish as it heats your entire home, while keeping heating costs down to soapstone heaters. This is done with the practicality, functionality and stylish one-of-a-kind looks of natural soapstone.A Massachusetts or even a soapstone fireplace is the smart homeowners first choice in heating their homes during the cold winter months. A fireplace made from soapstone Massachusetts adds not only warmth but also a touch of elegance to a living room. Dorado Soapstone sinks are available in a number of different styles such as customized hand carved styles or even fabricated. We carry different models including the double bowl farm front or the hand carved bathroom sink. Maybe you have a particular style in mind; we can customize a to meet your specifications. Whether you are looking for soapstone slabs, Massachusetts soapstone tiles, soapstone mosaics, soapstone sinks or soapstone stoves you can rest assured that you have found a devoted company that will serve your needs. We strive to consistently find new varieties of soapstone and to offer this unique and distinctive natural stone to you, our valued customer. A Massachusetts soapstone countertop can add beauty and brilliance to a new kitchen. Using spectacular yet highly durable Massachusetts soapstone slabs, youll find the perfect material for kitchens, bathrooms and living rooms. The demand for Massachusetts soapstone slabs is greater than ever before thanks to homeowners searching for a material more natural, environmentally responsible, maintenance-free, and durable while also hoping to save money on costs.Soapstone MA can be utilized in different household applications no matter what the room may be. Try adding Massachusetts soapstone countertops to your kitchen or dressing up your living room with a warm Massachusetts soapstone fireplace. Lets not forget about bathrooms, either. Soapstone can be used for bathroom vanities, Massachusetts soapstone sinks, thresholds, and multiple other applications.The many ways Massachusetts soapstone can be implemented is only limited to ones creativity and imagination. Choose Dorado Soapstone as your premiere soapstone dealer and Wholesaler. Dorado Soapstone Massachusetts is one of the most popular and requested countertop choices on the market today. With more and more people looking for unique and high quality stone products Dorado Massachusetts soapstone is gaining attention from builders, interior designers in Boston, Worcester, Shrewsbury, & Cape Cod. With Dorado Massachusetts Soapstone you have your choice of Soapstone slabs, soapstone countertops andsoapstone sinks. A Massachusetts soapstone countertop can add beauty and a fresh look to any new kitchen or remodel. Using highly durable Massachusettssoapstone slabs, you will find the perfect material for kitchens, bathrooms and living rooms. The demand for Massachusetts soapstone slabs is greater than ever before thanks to homeowners searching for a material more natural, environmentally responsible and a low maintenance countertop. Dorado Soapstone of Massachusetts will help you every step of the way. At Dorado, we have a passion for Massachusetts Soapstone and make customer satisfaction our top priority. From the first conversation to selecting your exact piece, Dorado Soapstone Massachusetts will be with you throughout the whole process. If you are unsure of which fabrication company to install your Massachusetts Soapstone countertops, we will help you find the right company for you. Weather you are looking for a Massachusetts Soapstone distributor or a Massachusetts Soapstone certified fabricator, Dorado Soapstone Massachusetts can help put you in touch with the right people. Boston Soapstone Dorado Soapstone Massachusetts now works with a number of industry partners in Boston, Worcester, Cape Code and surrounding areas. For contact information for Massachusetts Soapstone dealers, partners and installers, contact the Shrewsbury office at 508-842-5701. Cape Cod Soapstone Dorado Massachusetts now has several locations to view and select Dorado Soapstone in Cape Cod. For a list of Cape Cod Soapstone dealers, partners and installers, contact the Shrewsbury office. Worcester Soapstone Dorado Soapstone works with a number of industry partners in Worcester and surrounding areas. For contact information for Worcester Soapstone dealers, partners and installers, contact the Shrewsbury office. A Massachusetts soapstone woodstove heater or even a soapstone fireplace is the smart homeowners first choice in heating their homes during the cold winter months. A fireplace made from soapstone Massachusetts adds not only warmth but also a touch of elegance to a living room.Massachusetts Dorado soapstone sinks are available in a number of different styles such as customized hand carved styles or even fabricated. We carry different models including the double bowl farm front or the hand carved bathroom sink. Maybe you have a particular style in mind; we can customize a soapstone sink to meet your specifications. A Massachusetts soapstone countertop can add beauty and brilliance to a new kitchen. Using spectacular yet highly durable Massachusetts soapstone slabs, youll find the perfect material for kitchens, bathrooms and living rooms. The demand for Massachusetts soapstone slabs is greater than ever before thanks to homeowners searching for a material more natural, environmentally responsible, maintenance-free, and durable while also hoping to save money on costs.Soapstone MA can be utilized in different household applications no matter what the room may be. Try adding Massachusetts soapstone countertops to your kitchen or dressing up your living room with a warm Massachusetts soapstone fireplace. Lets not forget about bathrooms, either. Soapstone can be used for bathroom vanities, Massachusetts soapstone sinks, thresholds, and multiple other applications. Boston Soapstone Dorado Soapstone Massachusetts now works with a number of industry partners in Boston, Worcester, Cape Code and surrounding areas. For contact information for Massachusetts Soapstone dealers, partners and installers, contact the Shrewsbury office at (508) 842-5701.